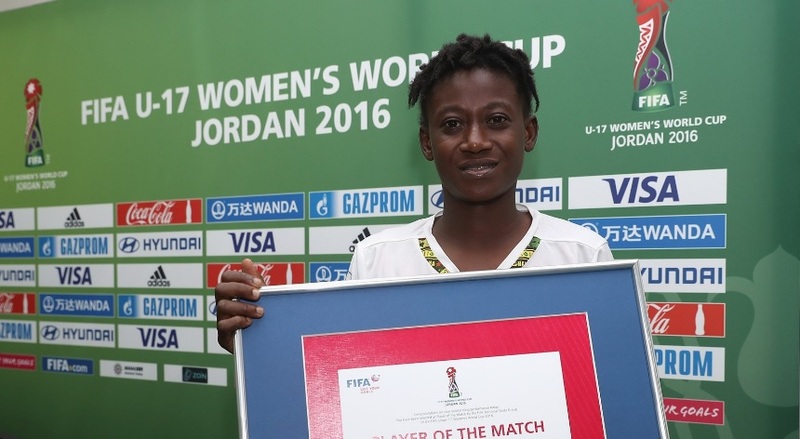 Ghana’s Black Maidens’ winger Adizatu Mustapha was named Player of the Match in their 2-1 win over USA on Tuesday in their second Group D match at the FIFA U17 Women’s World Cup. Mustapha was deployed in the holding role and she did well to keep the tabs on the fluid Americans. Ghana conceded after just five minutes but raced to equalize on 63 minutes when Juliet Acheampong headed in a cross. Captain Sandra Owusu Ansah converted an 84th minute spotkick to seal victory for the side which suffered an opening 5-0 defeat to Japan.